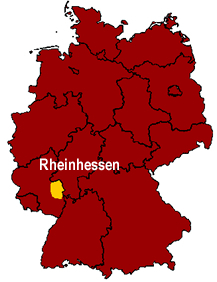 The Rheinhessen wine region is located in the German state of Rhineland-Palatinate (Rheinland-Pfalz). 67 million gallons (2.5 million hectoliters) of wine are produced annually in the Rheinhessen region (31.4% Prädikatswein; 61.1% Qualitätswein bestimmter Anbaugebiete). This accounts for 26% of the volume from Germany's entire wine region. The Rheinhessen region experiences low precipitation, warm summers, and mild winters. The region is enclosed by northern and western mountains, as well as with forests, protecting it from cloud cover, cold winds and harsh weather. 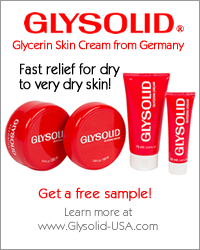 This gives grapes a great amount of sunlight and a relatively long ripening period. The Rheinhessen region is the wine region in Germany with the least amount of forest coverage. The soil consists of quarzite, sediment, marl, and fine sand. 77% white and 33% red grape varieties are planted in the Rheinhessen region. The dominant grapes are the Riesling and Müller-Thurgau. Other important grapes are listed below. Wines from the Rheinhessen region are mild and fruity. Rheinhessen wineries are among Germany's most decorated with awards and their wines, particularly the Riesling and Silvaner wines, are considered to be top quality by many wine critics and wine guides. Wine production in the Rheinhessen region dates back to the year 20 BC. One of the oldest vineyards in Germany belonged to the town of Nierstein and dates back to 742 AD.